Produced in a facility that also processes milk, egg, wheat, soy, peanuts, and tree nuts (pecans, almonds, coconut, cashews, walnuts). This product is gluten-free. This Sweet & Spicy Mustard Relish is bursting with flavor! 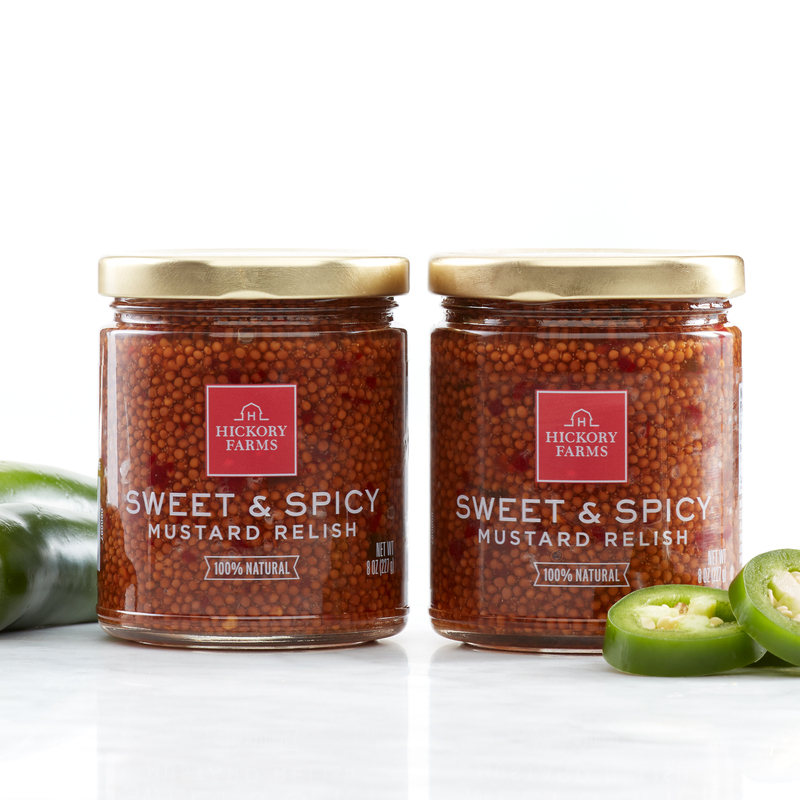 Flavored with crushed red pepper and seasonings, these tiny pearl mustard seeds have the perfect balance of a little sweetness and a little heat. Add them to a charcuterie tray with your favorite cheese, in homemade salad dressings, or any place you'd normally use mustard.